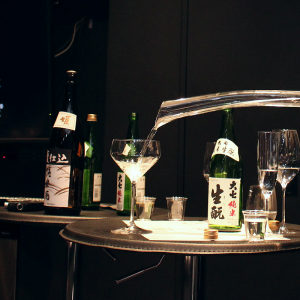 American bartender Alex Barker discusses going from newbie-to-expert and how to find the right sake for you. 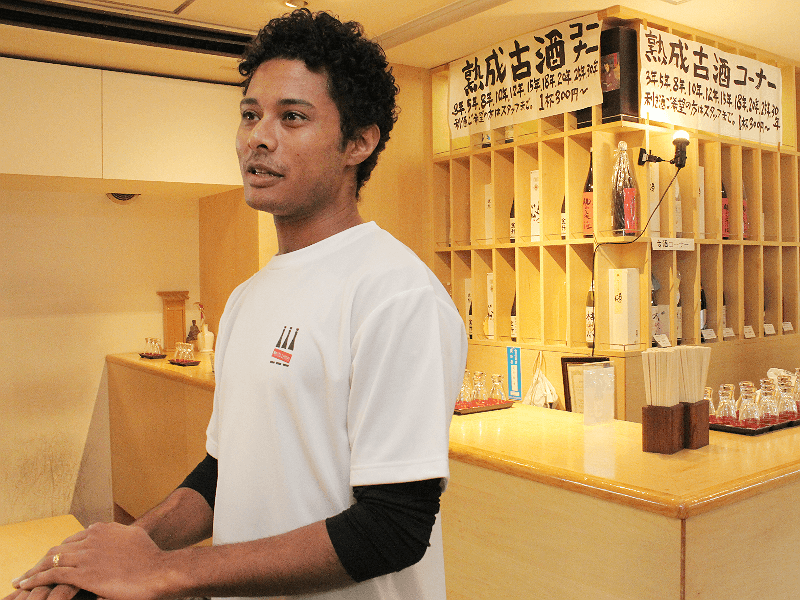 Alex Barker is a 29-year-old American bartender from California working at Meishu Center, a standing bar in Hamamatsucho, Tokyo, dedicated to introducing sake to newbies. Like many Americans, Alex’s first experience with sake was drinking sake bombs with friends. But after landing a job at Meishu Center, Alex begin to explore and appreciate the complexity of nihonshu. “I used to drink whatever sake my friends served without considering whether it was high quality or not,” Alex admitted. 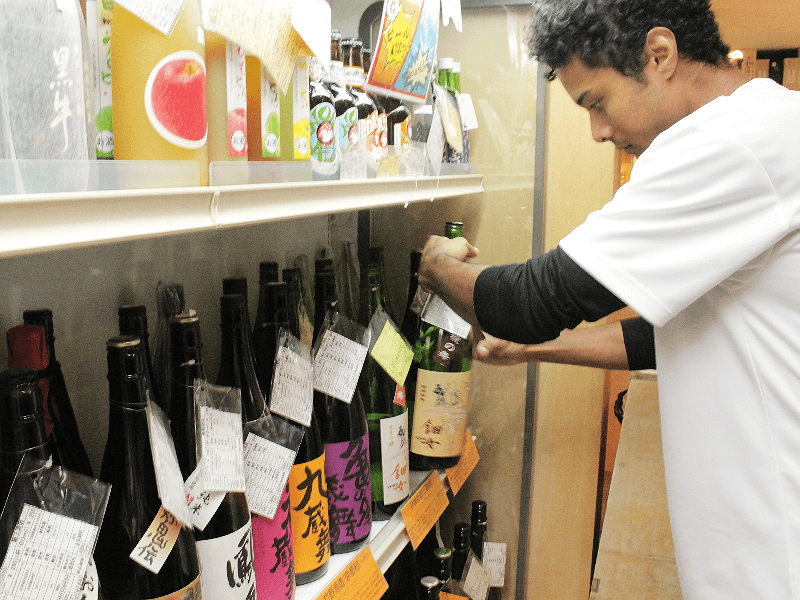 With over a hundred varieties of sake behind the bar at Meishu Center, and glasses starting at only 200 yen, Alex now believes he has the experience to find the perfect drink for anyone . A Bay Area native, and bartender by trade, Alex moved to Japan to live with his wife and child and began tending a Tokyo hotel bar. 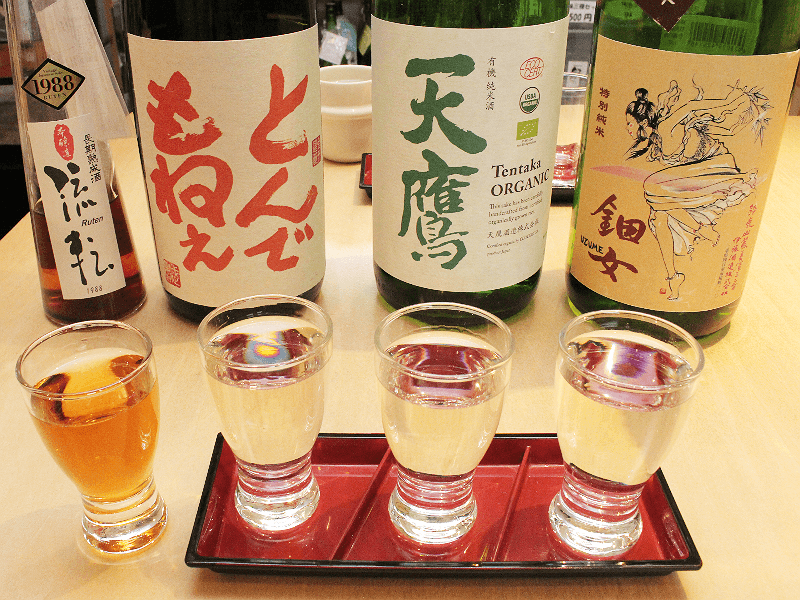 A friend recommended he try working at Meishu Center to learn more about Japanese culture and sake during his time in Japan. It was unfamiliar territory, but he felt compelled to give it a try. 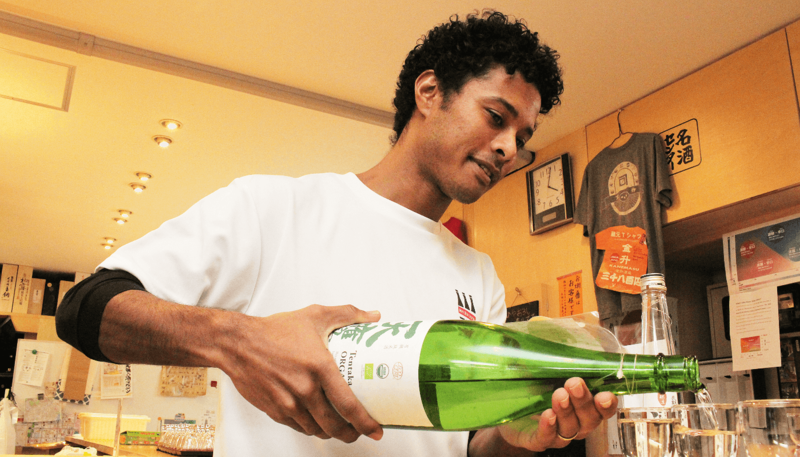 After a few months of working at Meishu Center, Alex’s passion for sake grew and he was better able to help those who came into the shop find a good drink. 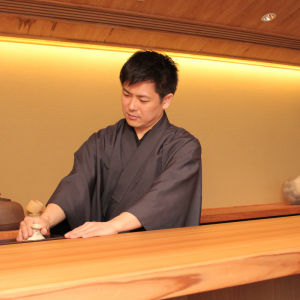 Meishu Center recommends customers try a set of three sakes at a time. 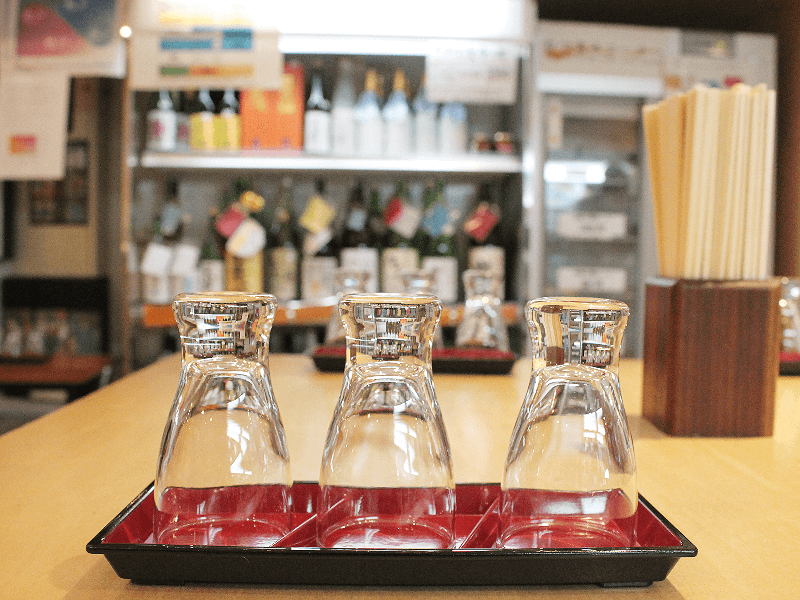 The set comes with a 100 yen discount and allows the customer to try a range of sakes. 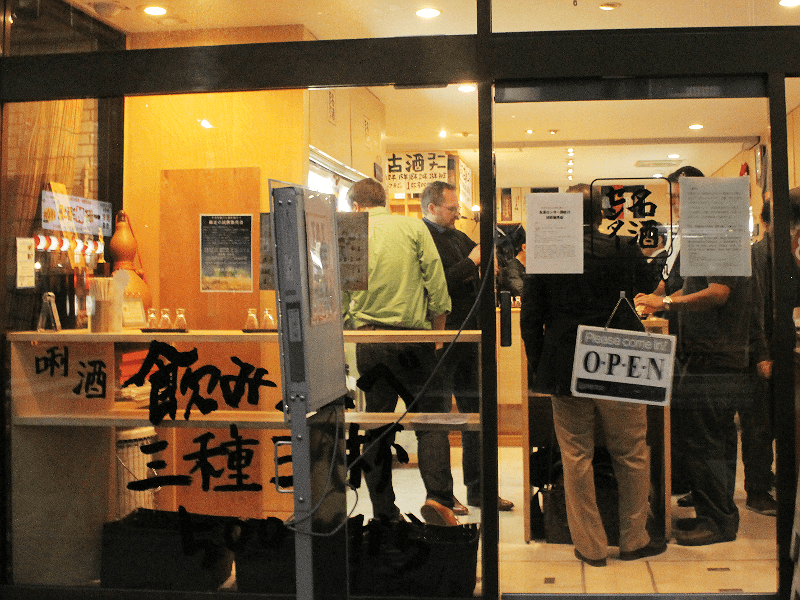 “It’s about 800-to-900 yen to try three — that’s cheaper than one beer at most places. And you don’t have to finish them all we just recommend you try more than one. Like any alcohol, you have to try a few kinds find the right one for you,” said Alex. Alex has a few go-to sakes popular with his more novice customers. 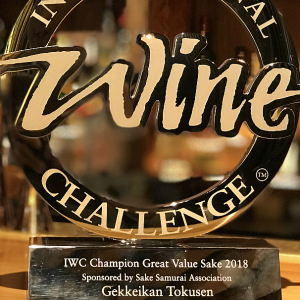 His personal favorite is Tondemone which means “incredible.” Brewed by Shinshu Mejo in Nagano prefecture, it’s balanced and full-bodied — a perfect choice for new sake drinkers. Another is Uzume, brewed by Ito Shuzo in Mie prefecture and winner of the International Wine Challenge Sake Award in 2017. Uzume is a bold sake popular not only for its rich, earthy taste, but also the striking mythological Japanese god emblazoned on the label. Tochigi-brewed Tentaka Organic is popular with the overseas crowd, in part because it is USDA certified organic. It has a clean, dry taste that pairs well with autumnal flavors like squash or mushrooms. For those seeking something more unique, aged sakes are available upon request. For whisky lovers, Alex recommends 30-year-aged sake named Ruten by Suehiro Shuzo in Aizu is mellow and sweet and great for those who do not typically enjoy sake. 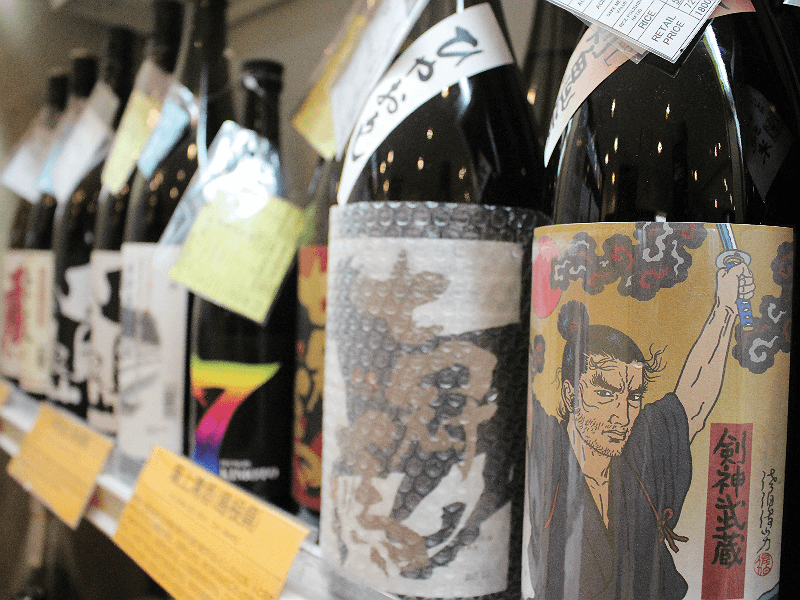 The world of sake can seem impenetrable, especially for those who do not speak Japanese, but Alex and the rest of the staff at Meishu Center are making it a whole lot easier to explore and enjoy.